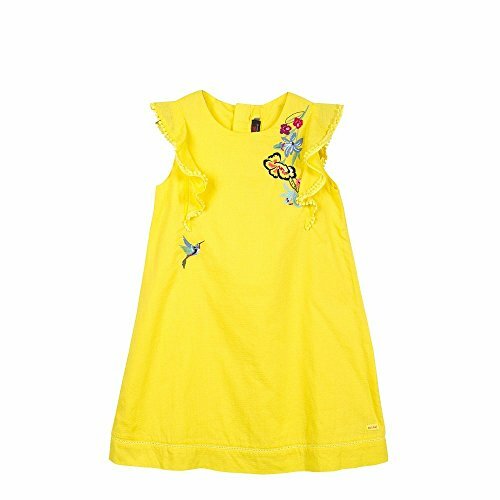 Dress in of canary yellow cotton pique fabric for a colorful, bohemian look for girls. Ruffle cap sleeves, braids and large embroidered exotic flowers give this dress a decorative, romantic touch. Rounded neckline with zip back for easy dressing. Ladder stitch on bottom hem. Cotton voile lining.